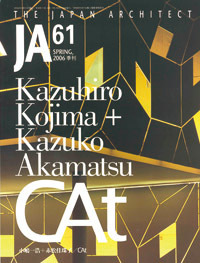 by Kazuhiro Kojima & Kazuko Akamatsu. This includes Kibi Kougen Elementary School, Utase Elementary School and Hakuou High School. Also JA features their specific design approach which express these words “Black” and “White”, “Activity”, “Space Block”, and “Fluid Direction”.